From strategy to implementation, we provide solutions throughout the commercialization process so companies can focus on improving patients’ lives and launch on time. We attract talented people because they can’t wait to rise to the challenges of doing difficult work that needs their expert thinking. 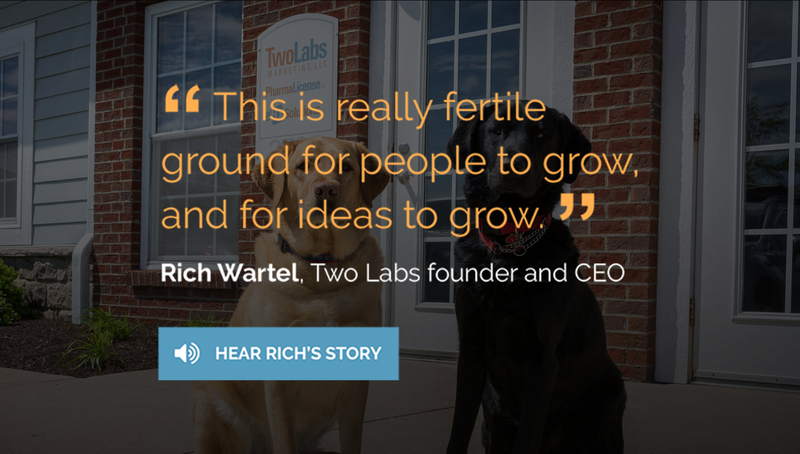 They are empowered to use their talent and grow professionally and personally — to be an essential part of Two Labs’ legacy. We recently found a tremendous opportunity and partner in a private equity firm, Excellere Partners. Partnering with Excellere enables Two Labs to further support customers by expanding our services and adding new solutions to our portfolio. This partnership can help us achieve our goal of becoming the preeminent pharma services company.